Sam McKinney has been on the job since July 1 and the College community has given a warm welcome to him, his wife Rosey and sons Jack ’17, Connor ’19 and Charlie ’20. To get a great snapshot of who McKinney is, including some of his hidden talents (hint: home renovation), check out this video. If you missed it on our Facebook page, take a virtual seat in Laidlaw Hall and check out our new principal's first Upper School assembly address on Sept. 8. For a complete archive of media stories about McKinney to date and his complete biography, please click here. 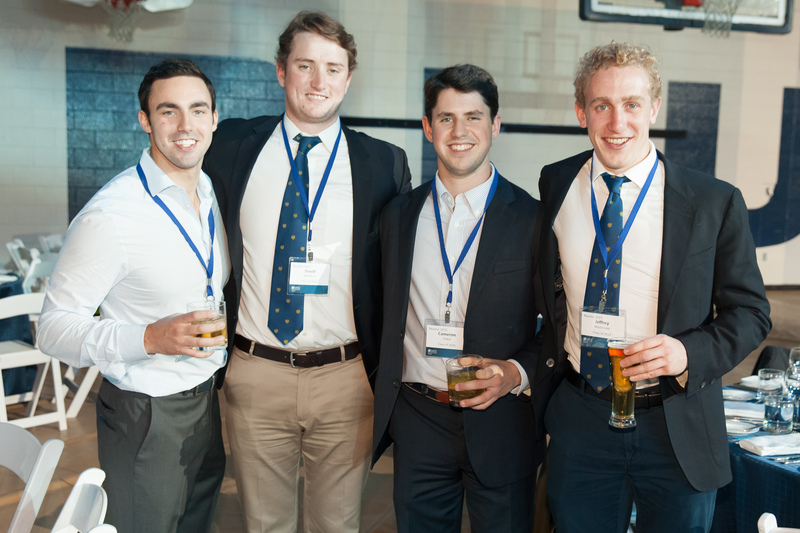 Association Day co-chairs Jeff ’98, Jon ’99 and Craig ’02 Hill are delighted to invite all Old Boys, students, parents and friends to join us as we celebrate everything that makes UCC great. A-Day 2016 will be a fun-filled celebration for the entire family. We'll welcome new principal Sam McKinney and family, plus we'll have new activities as well as those you know and love. For more information and a full schedule of the day's events, please click here. Click through to a video about all the reasons to be at A-Day. UCC's reunion is a time to reminisce, have fun and, of course, tell everyone they haven't changed a bit. Is your class on the list of this year's honourees from the years 1956, 1961, 1966, 1971, 1976, 1981, 1986, 1991, 1996, 2001, 2006 and 2011? Click here to register for the weekend's events. Join us for our first-ever Old Boy Summit on Saturday, Oct. 22 from 9 a.m. to 1 p.m. at UCC. 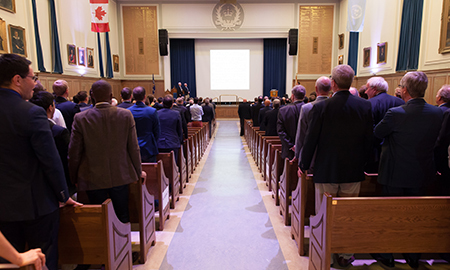 Hosted by the Association Council, the summit is part of the College’s collaborative and consultative approach to charting our new strategic priorities. The summit will tackle three topics: a long-term financial model of the College; Old Boy engagement with College life; and UCC’s financial assistance program. Click here for more information about the breakout sessions and to register for the summit. 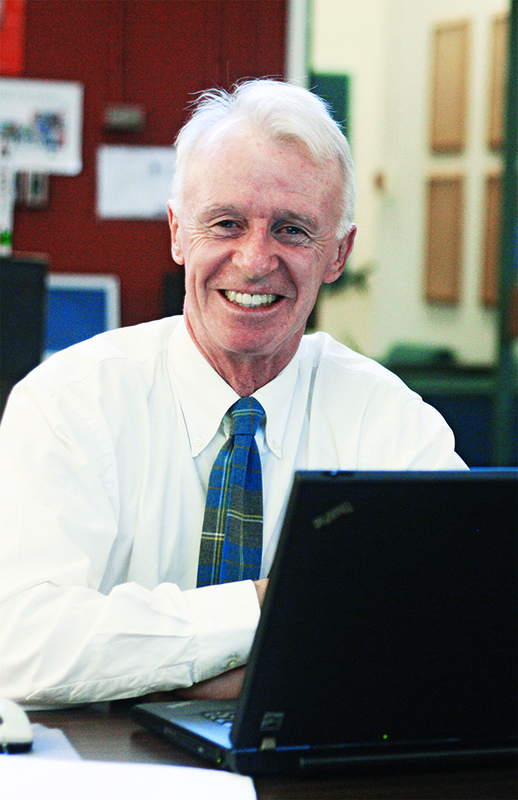 We are pleased to announce the appointment of Rodger Wright ’70 as special adviser to the vice-principal, advancement and strategy. In this role he'll assist with alumni relations, donor relations and strategic planning. We're most fortunate to have the opportunity to bring Rodger back to UCC and have his passion and wise counsel available to us going forward. He can be reached at rwright@ucc.on.ca or 416-488-1225, ext. 2229. Click here to read more about Rodger. Family skating began on Sept. 11 and runs every Sunday from 2:30 to 4:30 p.m. until April 16, 2017 in the William P. Wilder ’40 Arena & Sports Complex. There will be no family skate on Nov. 27, Dec. 25 and Jan. 1. Family skating is free and all are invited so bring friends and family members. Everyone skating is required to wear a CSA-approved helmet. Contact Samantha Kerbel in the Association office at skerbel@ucc.on.ca or 416-488-1125, ext. 2239 if you have any questions. We're accepting applications for September 2017 entry to UCC, and our annual admission open house is coming up on Oct. 26 and 27. As an Old Boy, you can help play an important role in our recruitment process by letting talented boys and their families know about the amazing opportunities at UCC, or letting us know about talented boys. 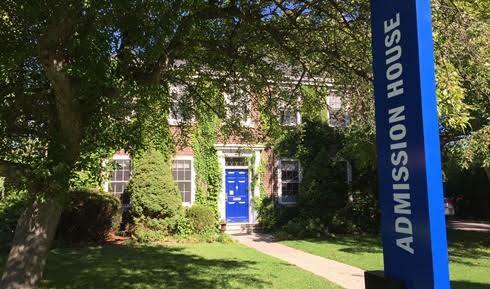 Contact us directly about a prospective student by calling the admission office at 416-488-1125 (SK to Form 7, ext. 4123; Upper School, ext. 2221) or emailing admission@ucc.on.ca. The College is also committed to honouring relationships with legacy families and applicants with siblings attending the school and will interview any sons of Old Boys and siblings upon application. Visit the admission section for more information on applying. Thank you for being a proud UCC ambassador and helping us find great boys. Sports Complex every Wednesday at 6 p.m.
graduating classes made up more than half the group this summer. weekly,” says Trevor Stephenson, who takes part in the games. every Wednesday at 8:30 p.m. through the fall and winter. Click here to download the full schedule of Old Boy sports. Contact Samantha Kerbel at skerbel@ucc.on.ca for more information about using UCC’s rinks and other sports facilities. Can you believe it? It's been 20 years since Cookie first graced our presence as school mascot. What started out as a 1996 Leaving Class gift that bore a striking resemblance to a trademarked Sesame Street character has evolved into a full-fledged member of our community. However, the years have taken their toll on Cookie and the time has come for him to retire. 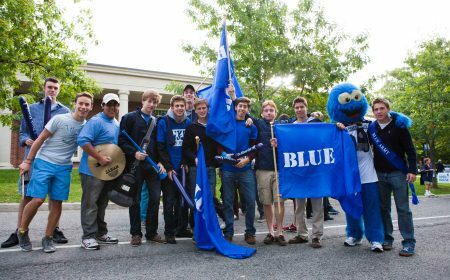 While we've enjoyed having Cookie as our mascot, due to copyright infringement issues among others, we've decided it's time to usher in a new era of UCC spirit mongering. 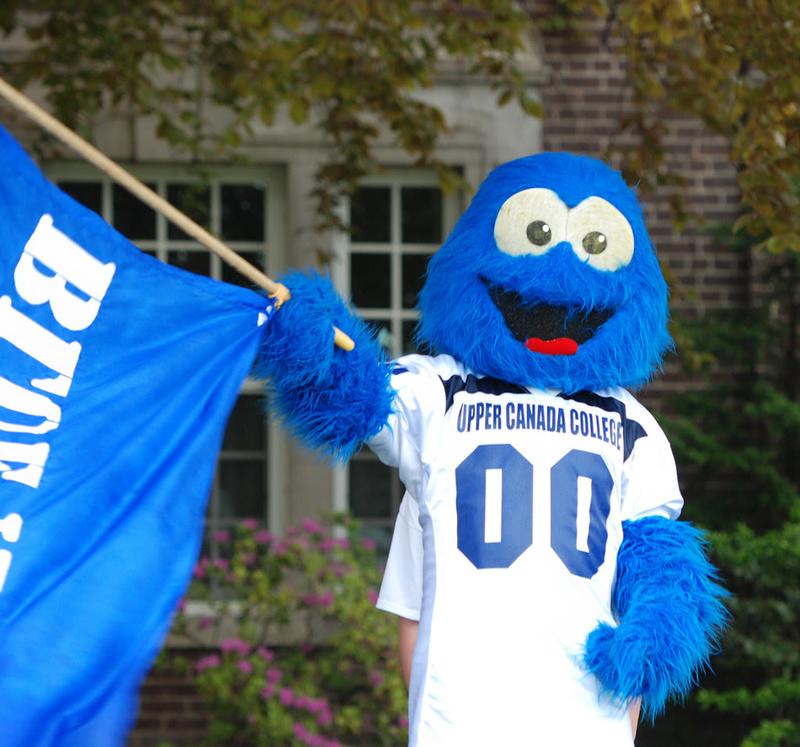 In short, we are looking for a mascot that UCC community members can truly call their own. So we're launching a search for a new mascot and asking community members to submit their original ideas through a mascot nomination form. The shortlisted nominees will be presented at A-Day, with voting to commence soon after. In the meantime, we've created a Cookie tribute page for you to share your memories and well wishes for Cookie as he enters this next stage in his life. He will be making a final appearance at A-Day this year, so please come out and show your love for Cookie and all the great teams he'll be supporting. We have three corrections from the spring/summer 2016 issue of Old Times.